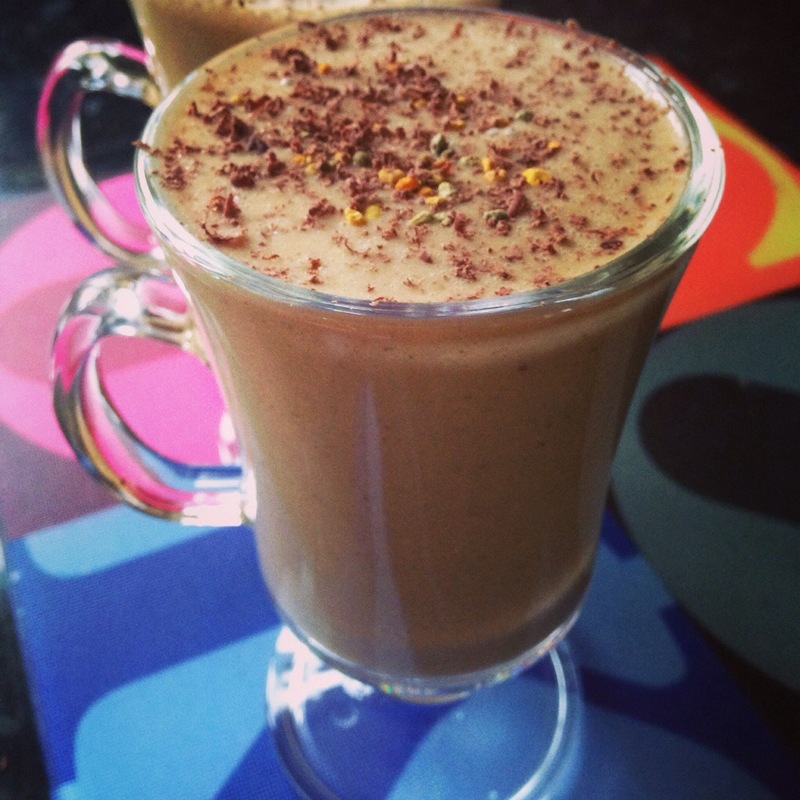 A surprisingly tasty smoothie perfect for a sunny day like today. And with added super foods to get you energised. 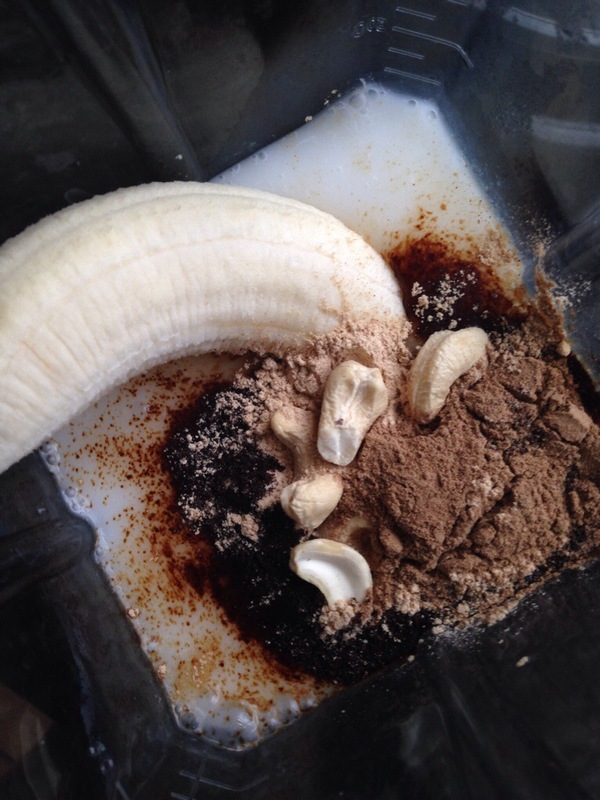 In a blender, I have a Vitamix, add, coconut milk, banana,instant coffee (or a small espresso), cashew nuts, peanut butter, maca and camu-camu powders and blend till smooth. Serve in tall glasses with your favourite sprinkle. I used dark chocolate and bee pollen but cinnamon will work well too. This entry was posted in catering, cooking, fitness, food, gym, health, holiday, home, home cooking, juices, kitchen, love, nutrition, raw food, small kitchen appliances, smoothies, snacks, vegan, vegetarian, world food and tagged coffee, latte, love, nutrition, smoohie. Bookmark the permalink.